Ephemera Exhibitions rents exhibitions and provides consulting services to museums, libraries and schools. Bridging the lines between art and history, we specialize in content-filled projects that directly address contemporary topics and the specific concerns of the institutions we work with. Many of our exhibitions are drawn from our own extensive collection of art and ephemera or utilize works from a network of private collectors. Ephemera Exhibitions is headed by Marc H. Miller, an art historian and curator. 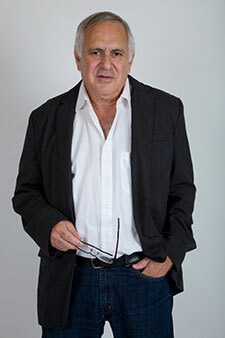 Over the last twenty-five years Miller has been a key consultant or the curator of over one hundred exhibitions done in collaboration with dozens of diverse institutions including, Queens Museum of Art, New York Hall of Science, 92nd Street Y, National Portrait Gallery, Bard College, Duke University, New Museum of Contemporary Art, and Smithsonian Institution Traveling Exhibition Service. Entrance to the exhibition at the Queens Museum. Photo courtesy the Queens Museum. Visitors to the exhibition. Photo by Andrea Compa. Marc H. Miller is the co-curator of Hey! Ho! 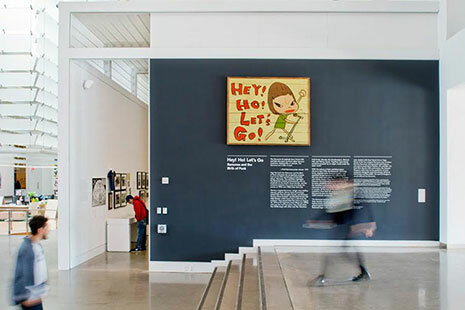 Let's Go!, a collaboration among the Queens Museum, the GRAMMY Museum, Ramones Productions Inc., JAM Inc., and Silent Partner Management. 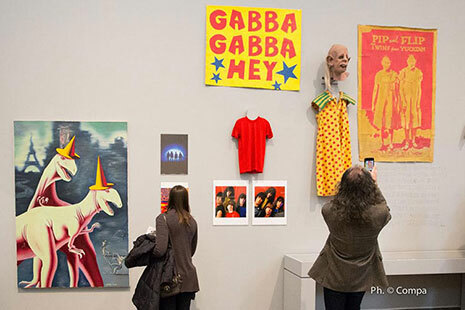 The major multi-media exhibition commemorates the 40th anniversary of the New York punk band's first album. The exhibition ran at the Queens Museum from April 10 to July 31, 2016, and is on view at the GRAMMY Museum at L.A.
LIVE from September 16, 2016, through February 28, 2017. Additional venues are currently being added. 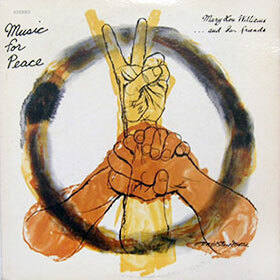 The romantic tale of an acclaimed composer and a leading pioneer in the art of album cover illustration. 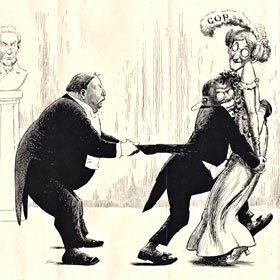 The contentious three party race featuring Theodore Roosevelt, William Taft and Woodrow Wilson inspired some nasty cartoons! 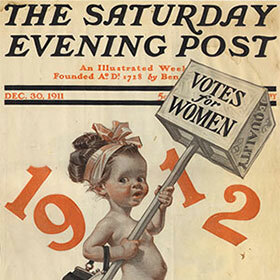 All 37 of the New Year Baby covers that illustrator J. C. Leyendecker created for the Saturday Evening Post. A mini history lesson. A great holiday show. All exhibitions can be tailored to your specific space, security and financial needs. Call (347) 223-4556 for more information.